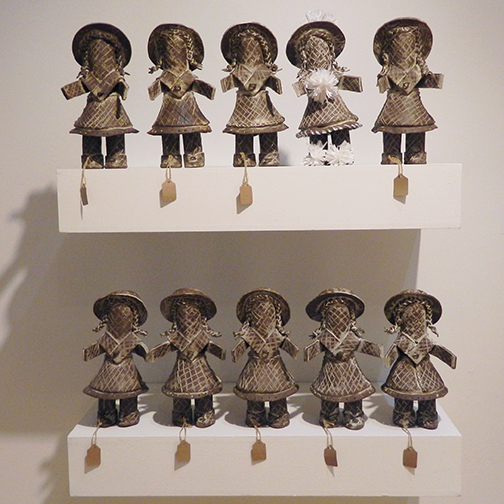 As a child, the straw doll was a product that my grandmother made out of straw, locally known as plait. As an adult, I realized the cultural significance of this souvenir. It embodies my country’s natural resources and artistry. Some may argue that such objects do not embody indigenous values and are only responses to a foreign market. On the contrary, I believe the doll could be considered a symbol of my country’s identity. It is fabricated from dried native palmetto fronds braided into rolls that are then cut into patterns and sewn, a traditional construction technique. 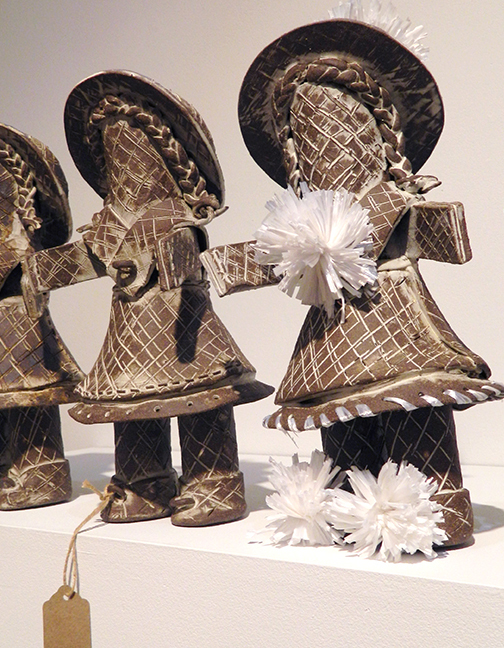 Using this method, a series of ceramic dolls are created.